Early variety with very good hardiness and good productivity. Bushes are vigorous, 1.2 m tall, compact and spreading. 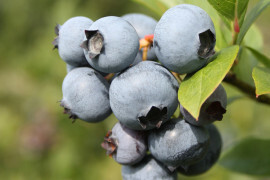 Fruit is medium in size, firm, light blue with excellent flavor. Good variety for cold climates. Early variety with good hardiness and good productivity. Bushes are vigorous. 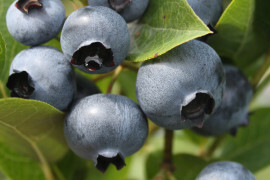 Fruit is medium in size, firm, dark blue with excellent flavor. Early season variety with good hardiness and good productivity. Bushes are vigourous, 1.7 m tall, open. 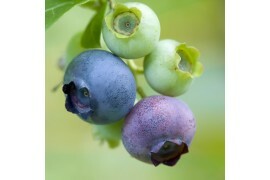 Blueberries are very large, very firm with excellent flavour. 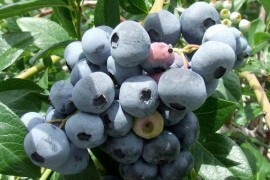 Desirable variety for its earliness and fruit quality. 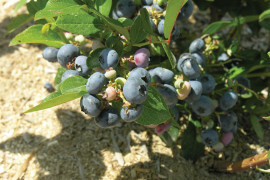 Requires light, good blueberry soils for best performance. Early variety with good hardiness and excellent productivity. 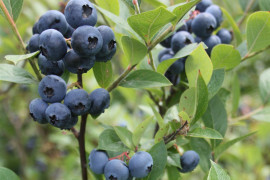 Bushes are vigorous, 1.5 m tall, hybridized with low bush blueberry parentage. 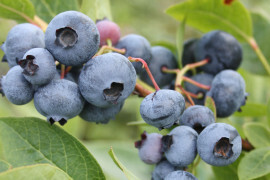 Fruit is big in size, firm, with excellent flavor. Suits all types of harvesting. Easy to reach fruits. Excellent disease resistance. Self pollinating like Patriot.